The most painful experience in this situation was that I suddenly sat there without working computer around. More dramatically was the fact that my TimeMachine backup was from the evening before, so I had some real nightmares about having partially lost my essay I was writing at that time. 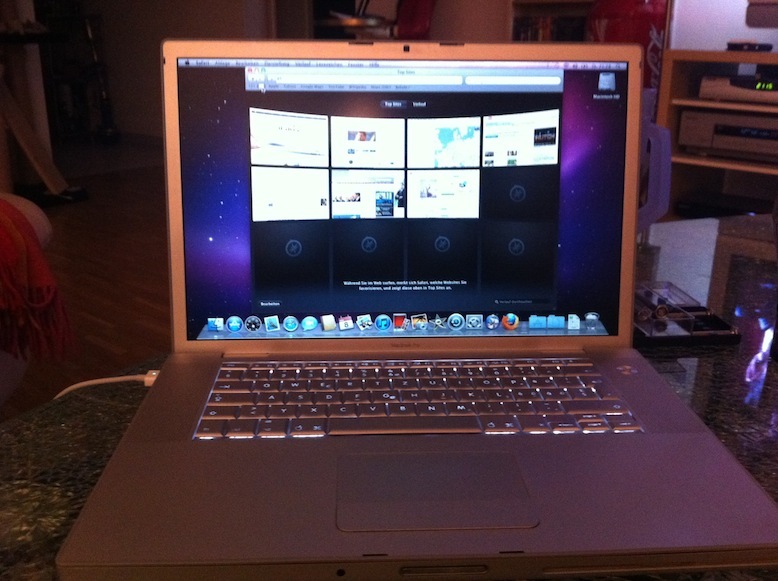 Well, for a fast (and final) fix, I just got myself one of these fancy new MacBook Pro modells, so I could just go on with my work. Albeit having a new computer, I just wondered about possible reasons for my MacBook failure. 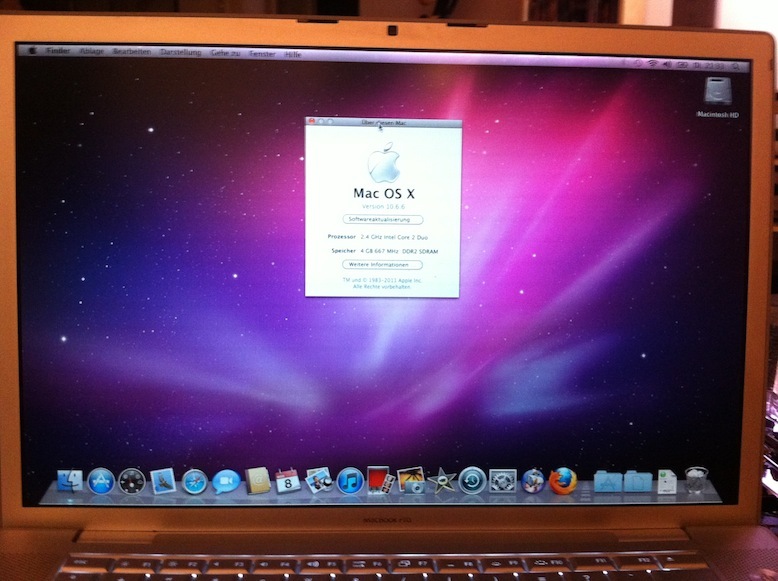 While digging around I found that there was well-known issue with 3rd generation MacBook pro with Nvidia graphics adapter, wich was even officially aknowledged by Apple. Actually, Apple even offered free repair of such defective MacBook Pro within four years of purchase (according to their support article). 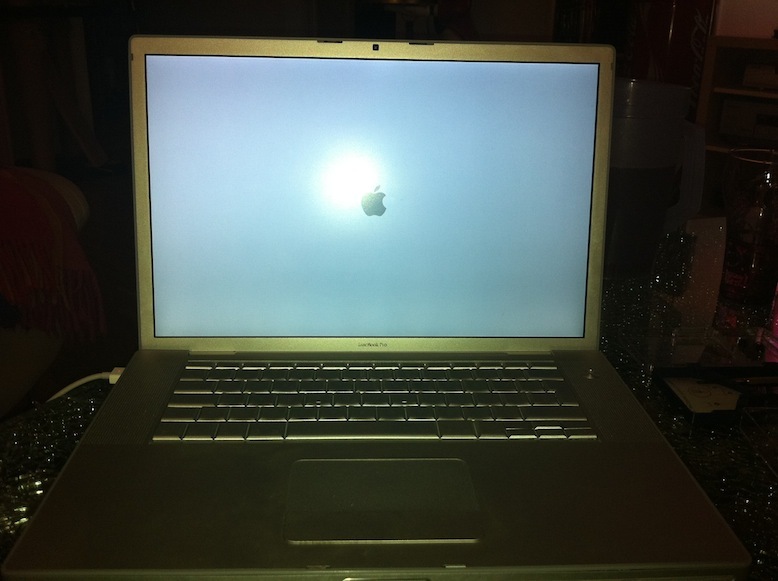 Defective MacBooks affected by this issue are typically considered having a "blank screen" or distorted video. 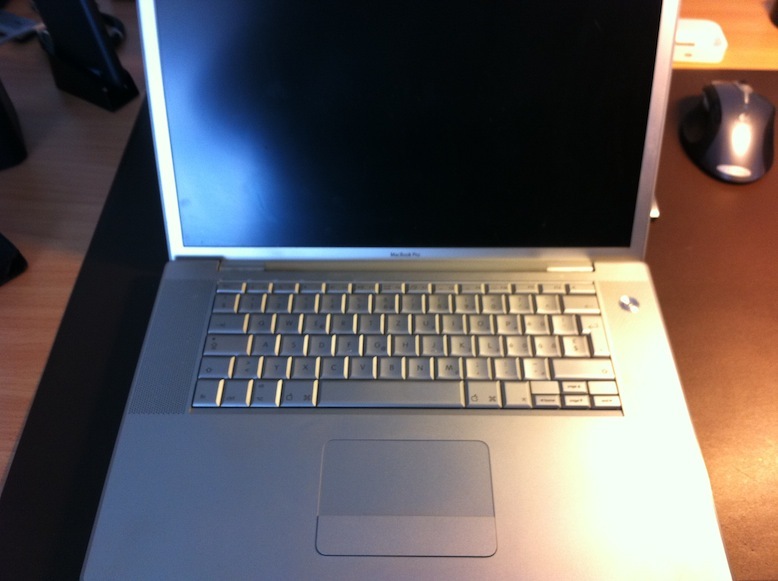 In case of "blank screen", affected systems are still playing the "Mac chime" upon power-on and the CAPS-LOCK LED being lit when pressing the key. You could even boot the system and at least "hear" audible feedback to several keystrokes (e.g. the volume up/down keys, etc). 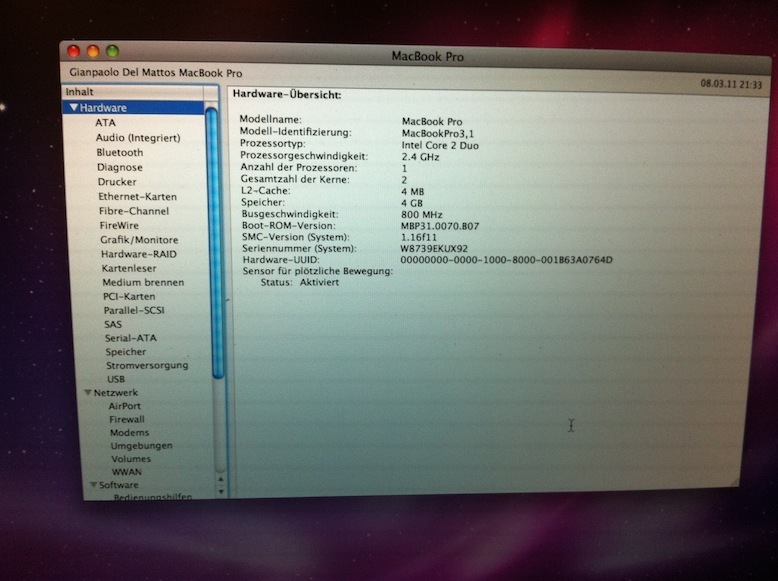 So that qualifies clearly for a MacBook Pro being affected by the Nvidia chip issue. 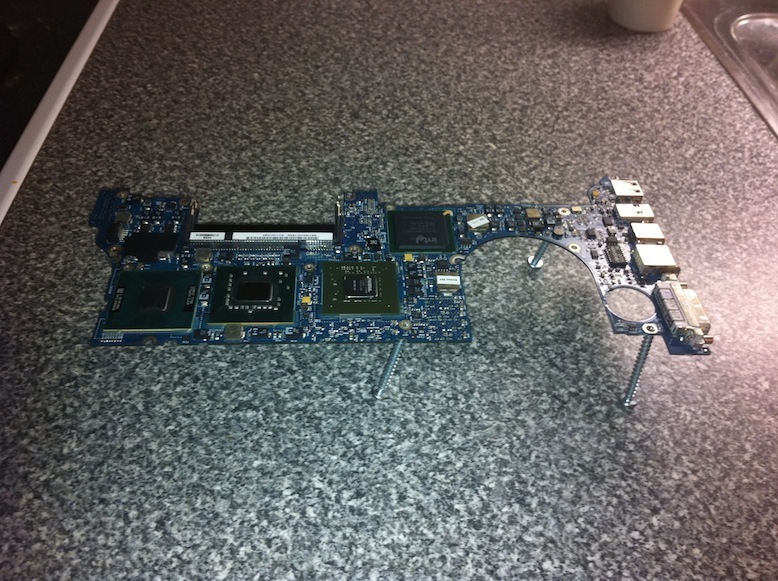 To fix the MacBook, I would have needed to exchange the LogicBoard. These do cost however several hundred Swiss Francs, definitely way beyond what's worthwile to invest into a 4-year-old device. During my research on the web I came along other sites covering this topic. 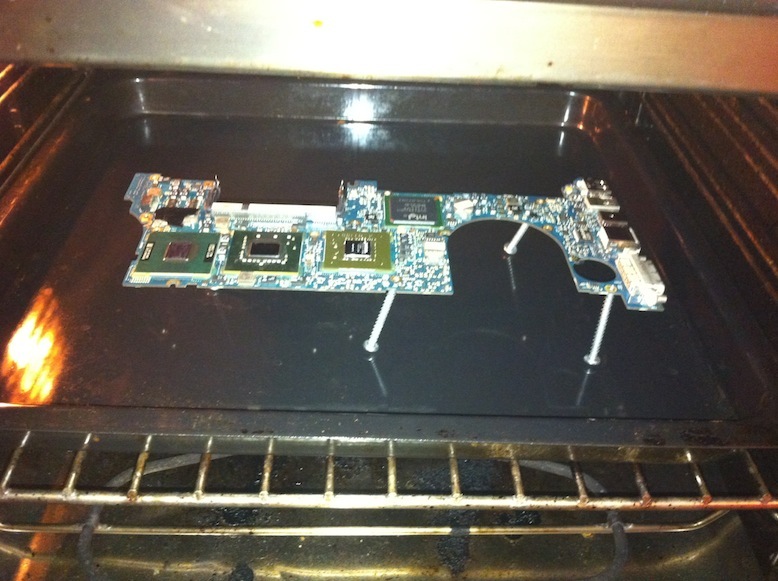 Some of these sites did even propose fixing the LogicBoard by butting it into your oven and baking it for 5-10 mins at around 200°-220° (392 - 448 F). The idea behind this is simple: By exposing the board to heat in the oven, the reflow soldering assembling conditions are reproduced, which can eventually fix broken soldering points. I found the best instructions on Philip May's blog (in german language). 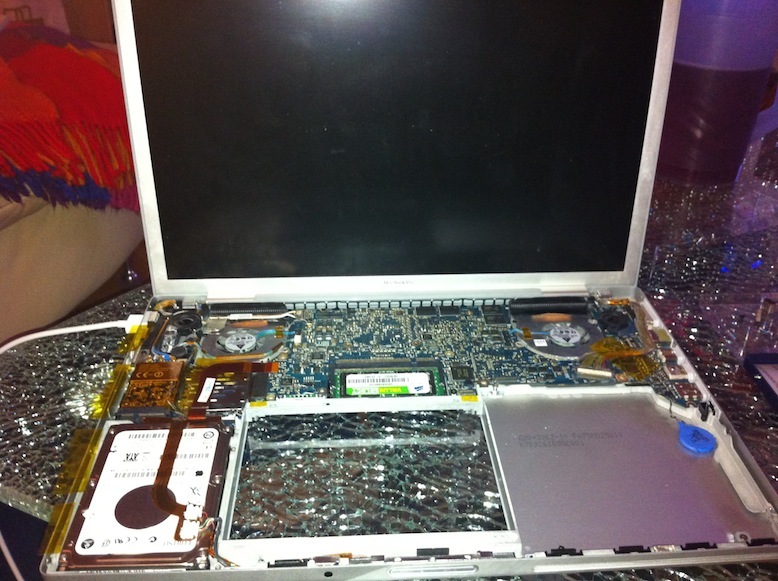 Instruction to disassemble the MacBook Pro were found on ifixit.com. Below you'll find some pictures of the process. And guess what? It really worked. My "broken" 3rd gen is now up and running again.